The fight for differentiation in the PV module business gets fierce. Announcements from Yingli, Q.Cells, Motech, Kyocera, Solar Frontier, Hanwha, Solarworld, and SunPower. 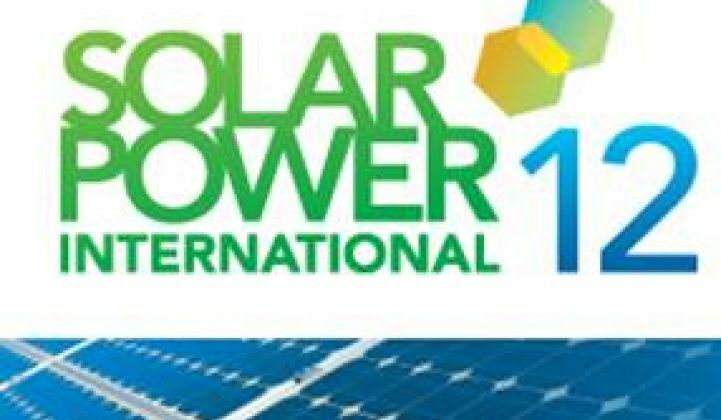 Vendors at Solar Power International (SPI) in Orlando, Florida have issued a flood of new product announcements, a few of which we've detailed below. For solar module vendors, it's all about differentiation in the most dynamic and savage business environment ever experienced by this industry. When confronted with claims that solar photovoltaic panels are commodities, module vendors strike back with the features that differentiate their firms and products: quality, reliability, O&M, balance-sheet health, bankability, team, it's toasted, etc. Kyocera (NYSE: KYO) issued a release which demonstrated that solar panels produced by the company and installed 20 years ago in France's first grid-tied solar installation are still performing at a high output level with "minimal power output degradation." Degradation of the 945-watt system was measured at 8.3 percent from the original power level. Yingli Green Energy (NYSE: YGE) announced UL-certified 72-cell solar modules for a maximum system voltage rating of 1,000 volts. The firm noted in an interview with GTM that the typical UL maximum is 600 volts. The 1,000 rating has the potential to decrease line loss and balance-of-system costs. Yingli sees a very robust environment in the U.S. for utility deals (at least through 2016 when the ITC recedes). Suntech’s (NYSE:STP) 300 watt 72-Cell module is also certified to 1000 volts. That module will be produced at Suntech's factory in Goodyear, Arizona. Q.Cells North America (now also presumably owned by Hanwha Solar) announced a 72-cell 300-watt solar module for North American solar installations. SunPower (Nasdaq: SPWR) announced what it claims to be the industry’s first 25-year combined product and power warranty. According to the release, "In the unlikely event that a panel needs repairing or replacing, we will do our best to locate an identical or a functionally equivalent panel that will be provided or the cost of the panel will be refunded." SunPower is also moving from a step to a linear warranty, guaranteeing at least 95 percent power for the first five years, followed by a maximum degradation of 0.4 percent each year, according to the release. Motech Americas' new 16.5-percent-efficiency solar panels have a positive tolerance of 0 to 4.99 watts and are both trade-compliant and ARRA-compliant with a 25-year linear progressive warranty. Solar Frontier is working on mining Japan's growing domestic solar market (see this recent report from GTM Research). The thin film CIS firm is developing megawatt-scale solar firms in partnership with Yano Industry. ReneSola (NYSE: SOL) announced a turnkey AC module -- a panel integrated with a microinverter. The ACM has a 25-year linear warranty. SolarWorld introduced a 270-watt, 60-cell solar panel and also announced that it began construction on a 25-megawatt solar farm through its EPC arm. Canadian Solar (Nasdaq:CSIQ) announced a new financing strategy for megawatt-scale deployments using its panels. Hanwha Solar, the new owner of Germany's Q.Cells, unveiled a new solar module, an integrated solar system, and an energy storage system that it developed with Silent Power. The new module, intended for residential and commercial customers, was developed with tenKsolar and features a performance-improving cell architecture that leverages cell-level maximum power-point tracking (MPPT). Hanwha Solar's parent company is an investor in tenKsolar. Hanwha also announced a thin-silicon Crystal Solar module that is in development. Read more about the Hanwha-Silent Power energy storage partnership here. The systems are available with energy storage capacity of 10 to 60 kilowatt-hours. We'll keep you up to date on the news and rumors at the show. If you're in Orlando, please say hello to the GTM team at booth #2762.